Fall Festival Saturday, Oct. 20 – FREE! 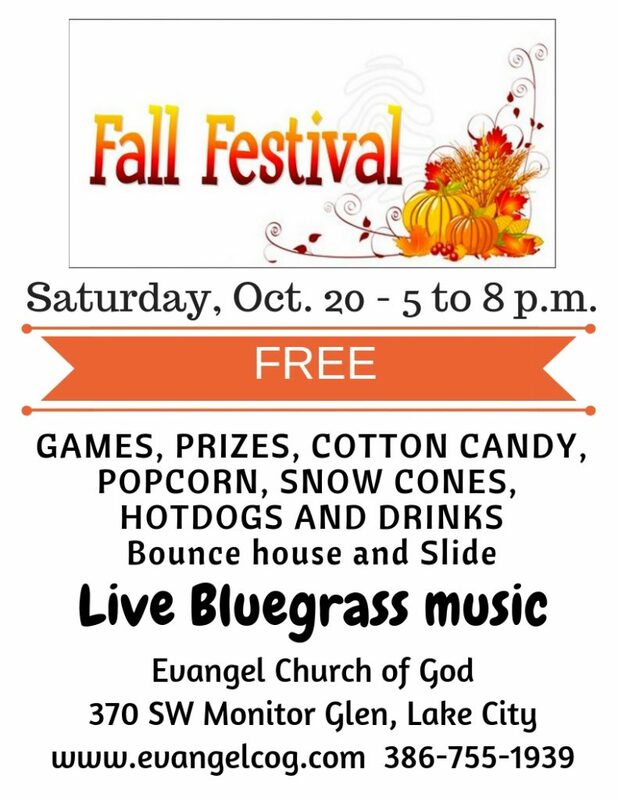 Our Fall Festival will take place on Evangel grounds on Saturday, October 20, 5pm – 8pm. There will be something for anyone who wishes to volunteer. Mark your calendars and plan to bring family and friends.